Despite a high-profile visit by U.S. officials to Turkey this week, the two nations remain at odds over the withdrawal of U.S. forces from Syria, specifically the implications for America’s Kurdish allies in Syria. The public spat comes nearly three weeks after President Donald Trump’s surprise announcement that he would pull approximately 2,000 U.S. troops out of northeastern Syria. Turkish President Recep Tayyip Erdogan rebuffed National Security Adviser John Bolton on Tuesday, refusing a meeting and expressing frustration in the messaging from Bolton and others that Erdogan says differs from what he said was a deal with Trump, signaling he’d prefer to communicate with the president instead. It was a December phone call between Trump and Erdogan that precipitated the U.S. decision to withdraw U.S. forces, originally within 30 days. U.S. officials later indicated the withdrawal could be done over the course of several months, but now, Bolton, along with officials at the State Department and Pentagon, have said that there is no timeline because a withdrawal is conditions-based. “Despite the fact that we reached a clear agreement with Mr. Trump, different voices have been raised from different echelons of the U.S. administration,” Erdogan said during a speech on Tuesday, adding that he could soon hold another phone call with the American president, according to the Associated Press. Erdogan said that, during the December call, he told Trump that Turkey would take on the remaining ISIS fighters in Syria after the U.S. withdrew, but that there was no mention of the Kurds — who have been valuable U.S. partners in the fight against ISIS, but are viewed as terrorists by Ankara, which has routinely threatened to target them. 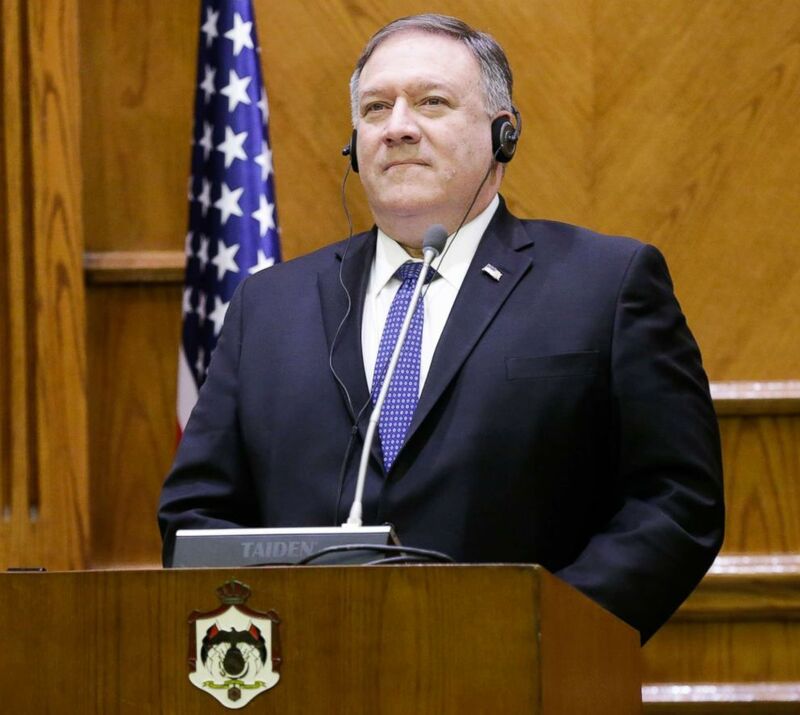 Secretary of State Mike Pompeo during a joint press conference with Minister of Foreign Affairs and Expatriates Ayman Safadi, at the Foreign Ministry, in Amman, Jordan, Jan.
Over the last week, Bolton and Secretary of State Mike Pompeo have said that ensuring the safety of the Kurds is one of a handful of conditions for a U.S. withdrawal, along with the enduring defeat of ISIS. 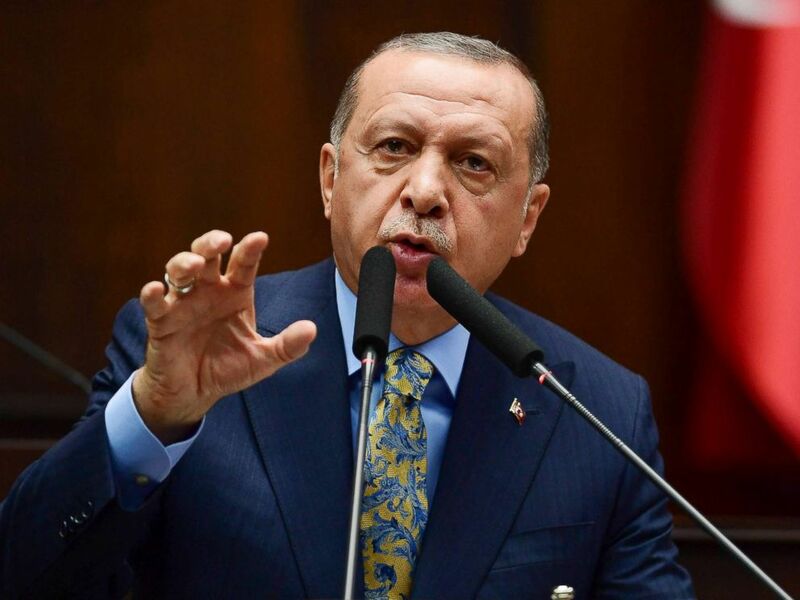 “Those involved in a terror corridor will receive the necessary punishment,” Erdogan said, adding that preparations for a new military offensive in Syria are “to a large extent” complete.